Property owners in Summerville South Carolina looking for professional shingle roofing services rely on Titan Roofing and our expert roofers. Not only do our certified roofers have over 25 years of experience in the industry, but no roofing project big or small is too complex for us to take on. Let us get your shingle roof repaired or replaced the Titan way – providing you with the quality workmanship and exceptional customer service that you deserve. Reach us today for more information at 843-647-3183. Titan Roofing LLC is proud to offer quality shingle repair services to property owners here in Summerville South Carolina. We work with both residential homeowners and commercial property owners to help them get their shingle roof repaired correctly. 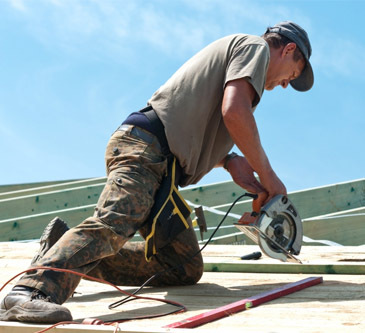 Whether you have minor damage to your shingle roof or major damage as a result of a fallen tree or inclement weather, our certified roofers are here to help. We will inspect your roof to determine if you need a couple of shingles replaced or if something more extensive is required. Don’t trust out of state roofing firms or fly by night roofers that are looking to rush through your roofing project, finishing it as quickly as possible. You don’t want to have to make additional roof repairs a second time around because the first guys did a poor job! We are committed to providing you with the best customer service and equally exceptional workmanship on every project we take on. Remember, your roofing repair needs are our priority and we want to help you accomplish your roofing goals. We know your roof is likely protecting one of your biggest investments which is why we don’t take risks with your time, money, or investment. 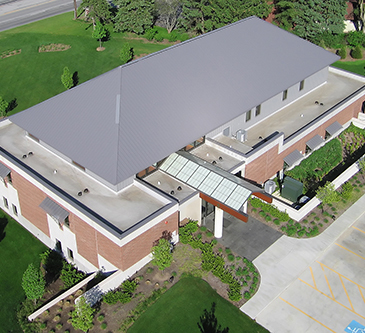 Titan Roofing also offers quality roof replacement services to property owners that are looking to replace their severely damaged roof or older aged roof – every type of roof will eventually have to be replaced, regardless of material. Typically, you want to replace your shingle roof before it develops any leaks and if your roof is coming up on the end of its lifespan, we can inspect your shingle roof and help you make an educated decision about when the best time to replace your roof is. We install all types of shingle roofs and can help you improve the appearance of your home! Don’t forget, if you are looking to list your home for sale, a recently replaced roof will help increase the overall value of your home as most homebuyers want a turn-key ready property and do not want to worry about their new home developing leaks. Reach Titan Roofing today and ask for Richard by calling 843-647-3183. Remember, your roofing project is our priority and we look forward to helping you with minor repair services to total roof replacement. Call Titan to schedule your shingle roofing consultation here in Summerville South Carolina.